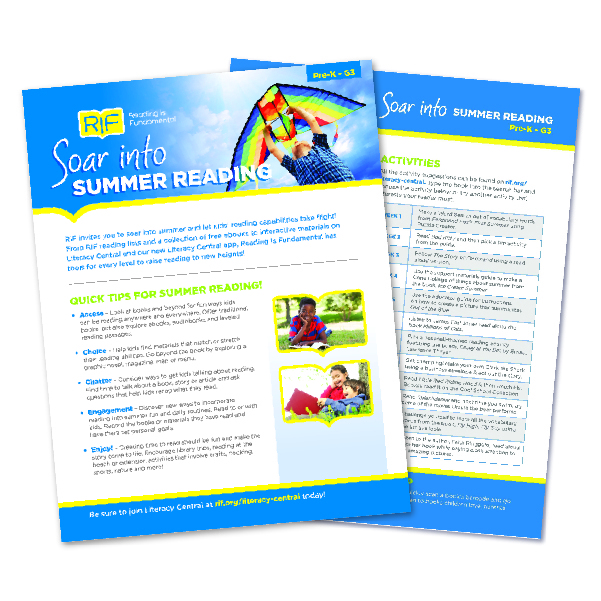 RIF’S SOAR INTO SUMMER READING! 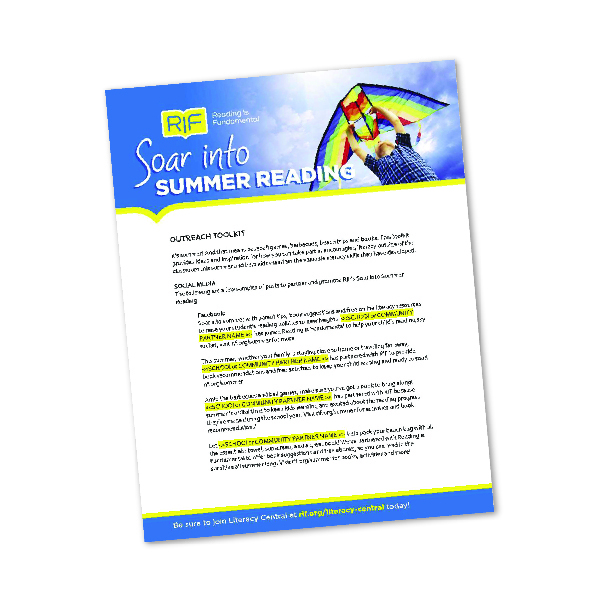 Partner with RIF to share summer reading tools and tips with your parents and community. 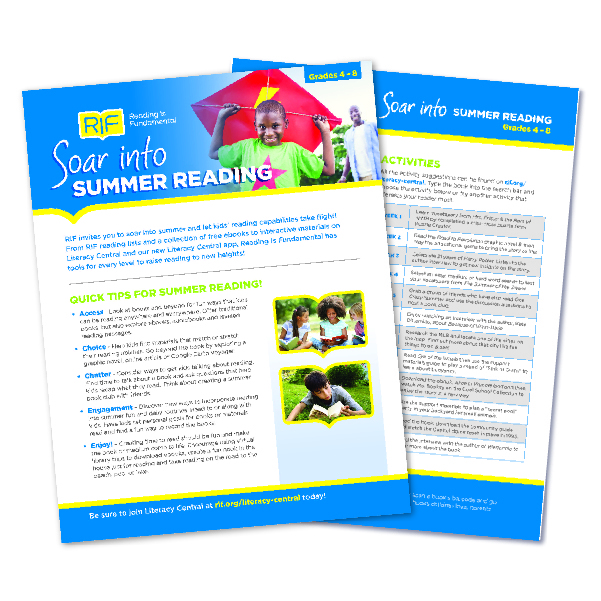 Easily outreach online, on paper and on social media and provide fun, age-appropriate activities and book lists to help kids’ reading soar while school is out! Take reading to new heights with RIF’s summer reading collections.